In 2013, I partnered with Tom Hawks, owner and contractor of Total Home Solution on the award-winning residential bathroom project. I wanted to share my design journey with the family and Tom to create this award winning bathroom. Elegant Interiors Designs’ winning entry in collaboration with Total Home Solution involved a long checklist: double sinks, a vanity tower, sitting area for hairstyling and make-up application, pocket shelves, toiletry shelf, a larger shower with multiple shower heads, a soaking tub, and a separate room for the commode. 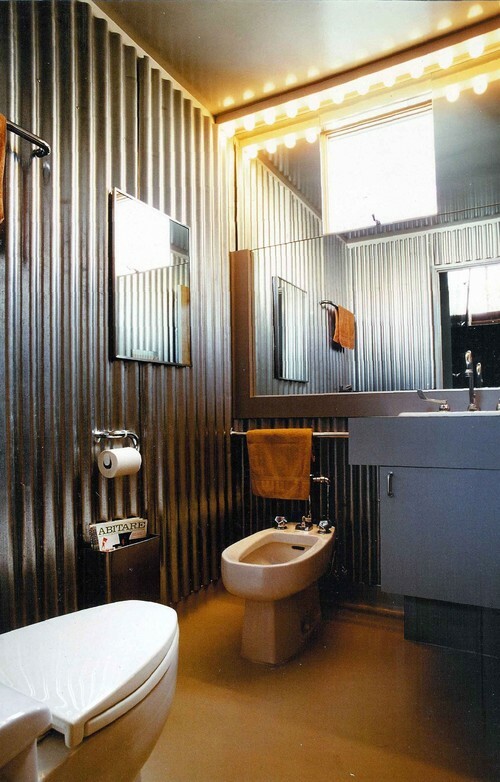 The design details were evident throughout the bathroom from the artwork to shades and even in the functional accent items in the pocket shelves. CLIENT: “Mr & Mrs H” a young ambitious married couple. After purchasing a new home 2 days after the BIG MOVE the bathroom remodel started. TIMELINE: Mr & Mrs H had a baby on the way in a month. This created a firm deadline of less than 30 days. CLIENTS MUST HAVE LIST: Lots of storage, sitting area at the vanity, his and hers basins and a large mirror to accommodate two simultaneously. 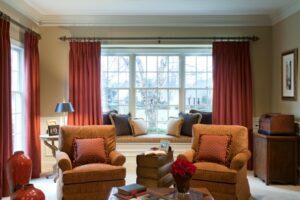 Philadelphia Main Line bachelor contacted Pamela Kofsky of Elegant Interior Designs to help him transform his new home which included his Great Room, Master Suite, Study, Breakfast Nook, Office and Guest Room. The client requested a contemporary farmhouse look with all natural products. Some of the inspiration pieces to be incorporated in the design would need to include: natural products such as reclaimed wood, stone, leather, metal and brick. He liked simplicity and an uncluttered look. The transformation of the space was very masculine and reflected his personal taste and lifestyle. In the photos you can see a combination of a natural color palette with fabrics and a few subtle pops of color. The fabrics consisted of natural fibers – linens, cotton, hair on hide, leather and some leather accented with nail heads contributing to the masculine feel. The color palette was earthy with taupe, beige, camel and cream. The rugs were made of natural fibers including jute, sisal and wool throughout the home. The Great Room had a custom designed sectional with a complimentary armless sofa accented with natural linen pillows. As you enter the room there is a cast stone top console table with an old wooden base on the right. The occasional chair in the far corner is a natural wood with a woven raffia seat paired with a carved wood side table. The coffee table is a reclaimed wood top with a metal base. The custom looped wool area rug adds interest and unifies the seating area. 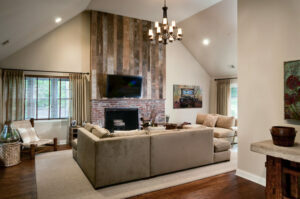 The fireplace wall, a room highlight, was redesigned with reclaimed wooden panels and fabricated by TR Risk. 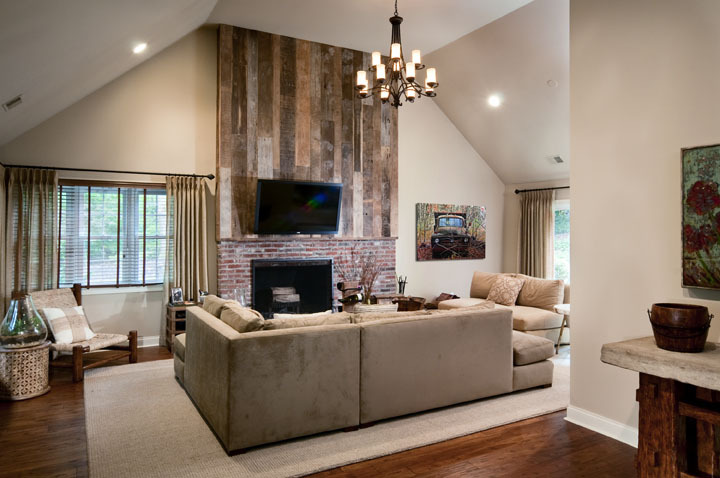 A local Philadelphia artist, Nancy “Weezy ” Forman’s oil on canvas giclee of an old truck in a wooded setting completes the fireplace wall. What makes a man, a man? Is it his style, hobbies, musical taste, career, personality, passions or a combination of everything? You can tell a lot from a man’s living space, bachelor pad, office and/or man-space. Does your space reflect your personality and interests? Your idea of a typical ‘bachelor pad’ might fall into one of three popular categories: simple and minimalist, the sports fanatic and the outdoors-man. My passion is to create a space that is specific to you from the overall look to the last detail that will complete the room or entire home. Here are a few man-inspiring ideas to take your space beyond typical. When you think ‘Wall Street’ it is usually suits and ties with a NYC Studio with minimalist and simple décor. Popular colors tend to be black and greys with luxury mixed with comfort. Not all finance guys are into a modern style and vintage is making a come back for accent and statement pieces. Nautical looking works well for these guys too. Their decorating style is very classic, giving the All-American look. 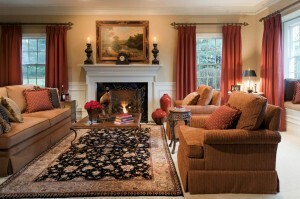 This personality tends to enjoy a home that reflects the relaxed setting while adding a degree of sophistication. The color palette extends to navy, greys and camels. They enjoy relaxing after a hard day at the office with a cocktail, perhaps a dirty martini, from their custom designed home bar. Golf and business mix well with so many businessmen taking to the greens. Why not bring the green home with an indoor putting green or a manicured sod outdoor putting green. Unwind and practice in the privacy of your home and don’t forget the cocktail from the custom bar. Watching the BIG game should be on a large screen with ultra-comfortable furniture and plenty of space to kick back. A sports enthusiast that likes to host on away game days will need to have a space complete with all the fixings including a full bar, kegerator to keep the beer flowing, and refrigerator with a high top. Their home theater is their haven for viewing all sporting events. These guys need an awesome space for hanging out with their friends and having fun – often times the family man will transform the basement into a man-cave. The sports fanatics also tend to be into home automation, all in one remote controls or apps and pre-programmed music, lights and window shade control. Since boys like their toys we can’t forget arcade games, pool tables and Foosball for these guys. The right fabrics, comfy furniture and accessories can pull the entire look together. Did that catch your attention? Good! There is no excuse for a bare window in your home. So let’s talk about dressing your naked windows. Preventing fading on fabrics and artwork from daily direct sun exposure. Temperature control for your home during the hot summer and cold winter months. Complete the look inside your home! Do not assume that people cannot see into your home during the day and early evening. Windows are transparent and can allow people to see inside. Angle, light and distance are a few elements that effect what people can and cannot see from outside your home. What are your options for dressing your naked window? Depending on the window and it’s location in your home in relation to the sun and neighbors you might want to consider drapes, blinds or a combination of both. Window dressings can be both aesthetic and functional as long as they are not left naked! With so many options for valances alone homeowners can feel overwhelmed or even worse, end up with an out of the box product that is not serving the right purpose. 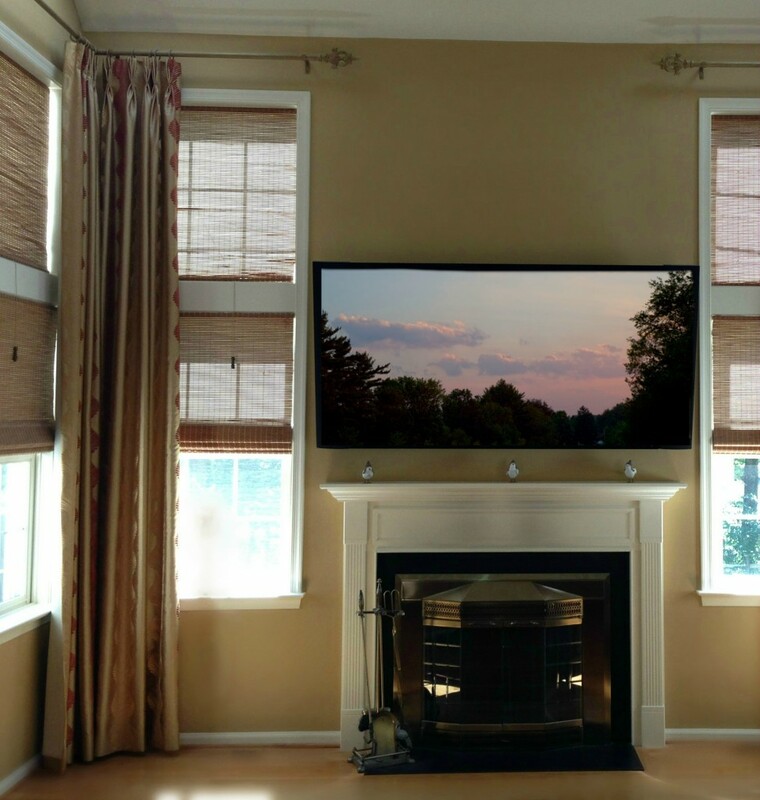 If you are considering a window treatment from shades to a full window dressing, expect a little education. One of my preferred vendors is Hunter Douglas, offering dozens of products that are not only beautiful but functional with remote open/close and controlled light and heat transfer options. Finding the right blinds is more than selecting what looks good but what makes the most sense for your home. 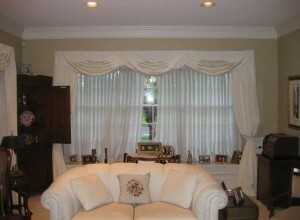 Valances are another option for dressing your naked window. They serve an aesthetic purpose and really add punch to complete almost any room. Below are a few sketches from Stephanie Sipp on window treatment options featuring valances. You can compare the naked window to the other options and see what this might do for your space. Why is High Point Market a big deal? For the interior design world and professionals High Point Market is the Fashion Week of the fashion world! The average home owner will turn to the popular catalogs like Pottery Barn, Crate and Barrel, Frontgate and Restoration Hardware for design ideas and inspiration. Yet the design professionals flock to North Carolina to see the latest trends from furniture to art to new fabric patterns and accessories. High Point is exclusive to design and industry professionals – likely these are items you will not find in chain stores. These are the statement pieces your interior designer will add to your home that will make you and your guests jaw drop. They are unique, beautiful and worth the trip. Now is the time to break away from everyone else in America, take a step up to a better room with unique items that truly fit your personality and style choices. 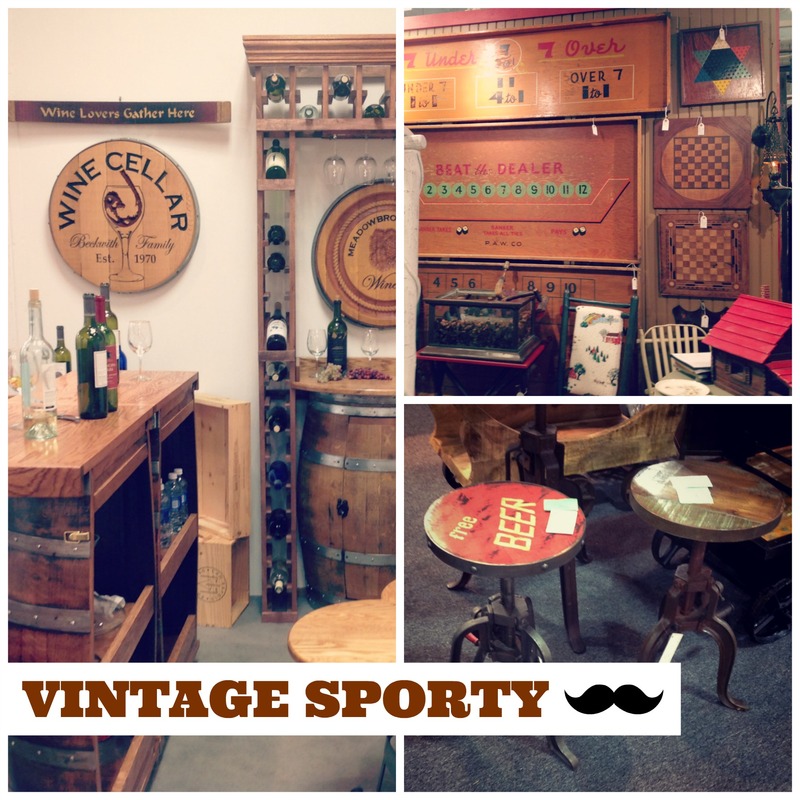 From my most recent trip to High Point Market I have chosen to share a few photos of items that caught my attention. I will be returning to High Point Market in the Fall with a new mission to find items that are ‘conversation pieces’ and share with you while on the trip. So make sure you are following me on my Facebook Business Page for the latest and greatest as I tour the High Point Market in October. For anyone planning a redesign contact me ASAP so we can discuss the items I can source for you while at Market in October. This is a unique opportunity for me to be at High Point and source some of the world’s best products for your exclusive design. As always thanks for following my blog, until next time! Read about Pam’s trip to High Point Market click here. Would you like to have a great outdoor experience inside or under a shaded area? Do you have a porch you would that you would like to turn into a relaxing, calming retreat? You know somewhere that you can sit and curl up with a good book. Maybe swing in a porch swing or the popular swing bed. 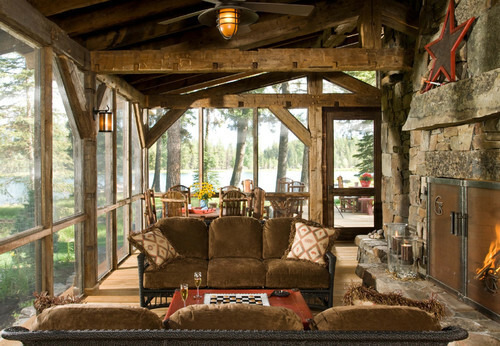 Don’t forget your porch can be a ‘room’ too with carefully selected rustic looking furniture, accent stone on the wall or floor perhaps even a spot for a water feature. MAY 2013 – Pamela Kofsky of Elegant Interior Designs won Honorable Mention for the Interior Design Awards in Philadelphia for Singular Residential Design. In this category a total of 2 awards were given. Below Pamela shares the story of the design process, before and after photos along with the room layouts. “My client dreamt of a new living room in her house that reflected a “club” like feel for entertaining. The challenge was to create a whole new look on a limited budget while incorporating many of their heirloom antiques into the space. 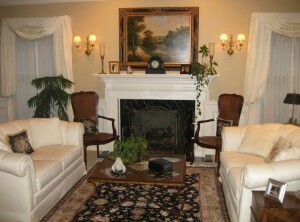 The client felt that their room lacked personality, with the stark white drapery and tired looking furniture. Everything fell into place however, as I resolved which pieces to utilize. In replacing the seating, I was able to warm up the space with custom upholstery and pillows. New draperies, new paint and window seating gave the “club” like feel the client yearned for. 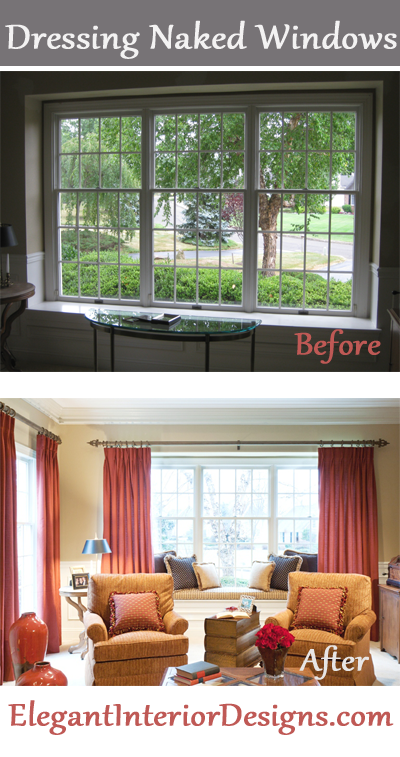 By creating this new window area, I was able to eliminate clutter and provide additional seating. This decorating project came down to editing and refreshing the space with new accessories. What an exciting trip!! 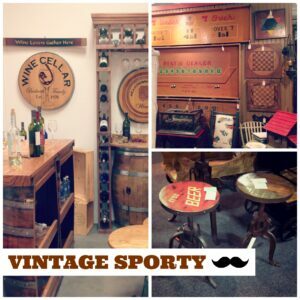 High Point Market is the largest furnishings industry trade show in the world. With over 2,000 exhibitors and 75,000 attendees it’s almost impossible to see it all. There were tens of thousands of new product introductions and I was going non-stop for 4 days taking it all in. If you can’t find it in High Point…it probably doesn’t exist. FAMOUS PEOPLE SIGHTINGS: At the market parties there was delicious delectable and cocktails galore. I had the pleasure of meeting Alexander Julian at the Jonathan Charles showroom and Jane Seymour was promoting her new furniture line a collaboration with Amini. 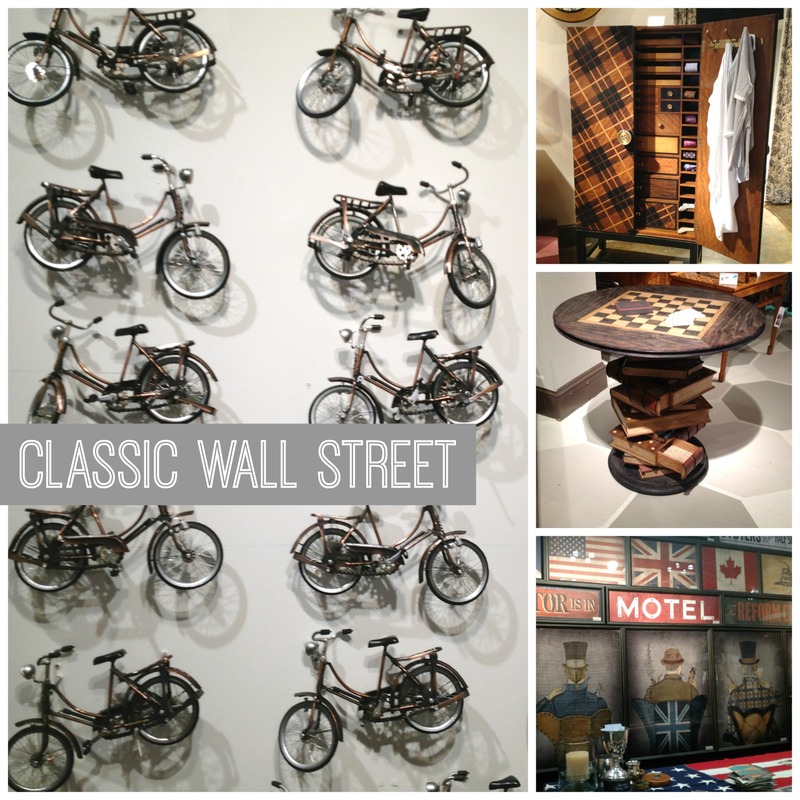 It was so thrilling seeing the new trends, design ideas, furniture, accessories and much more. What was hot? Using reclaimed wood furniture, mixing old with new, combining materials like a wooden slab top console with stainless steel legs and incorporating industrial parts into pieces. 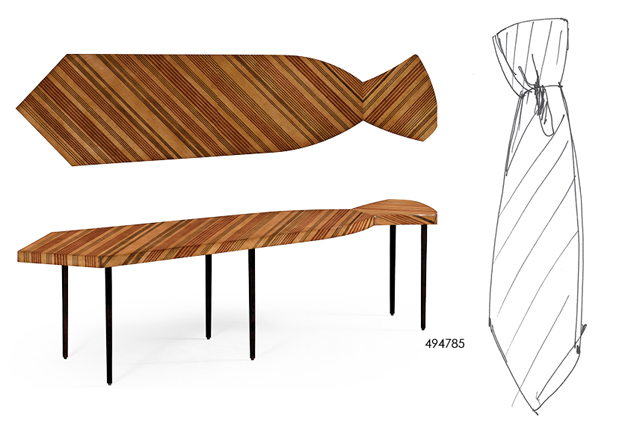 Introduced last market and still going strong is Alexander Julian furniture line that creates a unique collection of case goods inspired by his famous menswear designs. 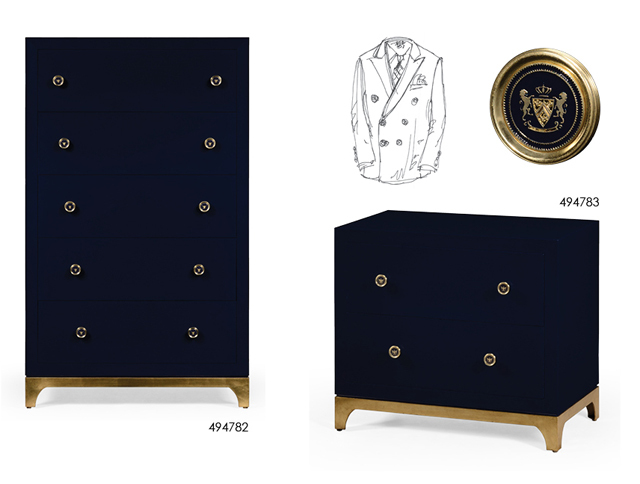 Translating his signature vision of rich textiles and dynamic colors into his furniture collection, each item from the 12-piece collection utilizes elements from bow ties to custom made blazer buttons for drawer pulls. His collection includes a whimsical inlaid “over sized button” occasional table creatively supported by 3 faux sewing needles. Some of his case good pieces have “shirting stripe” inlay fronts and crotch walnut sides, signature horn button pulls and classic paisley drawer linings. 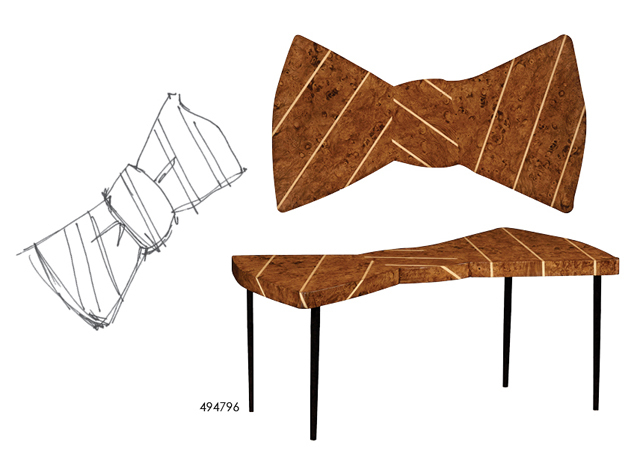 Also, extremely unique are his satinwood necktie and bow tie coffee tables. Valentine’s Day is this week and we just love how there are over Fifty Shades of Grey that are trending in design right now. Why not share with our readers why we fell in love with grey, I don’t mean Christian Grey but the color grey. So for those ladies and gentleman looking for a new look in 2013 here are a few things to get you excited and talking about grey. MASTER BEDROOM: Why not start in the bedroom, after all it is Valentine’s Day! Below’s image from Houzz is an example of using the entire pallet of grey including black in a master bedroom design. Update your master bedroom by integrating silver lamps, picture frames, a chandelier, bedding or curtains. MASTER BATHROOM: A great place to relax and step away from the business of life. 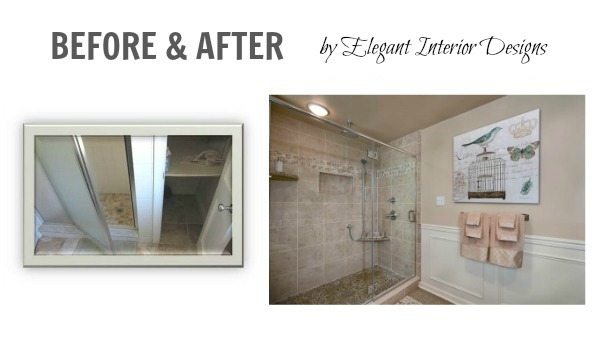 Redo your space with a complete overhaul or simply update your faucet, mirrors and lighting fixtures. A quick and easy makeover is a splash of color and new linens but why stop there? Create a complete look from top to bottom.